A list of the Sunderland built vessels referenced in these pages is at the top of page 040. A list of the Sunderland shipbuilders referenced in these pages is a little lower on page 040. On this page ... Austin, Austin and Mills, George Barker, Barkes, page bottom (eBay vendors). Corrections in any of the material which follows, however tiny, would be most welcome. And additions, of course! (26 + 24 +2 = 52) Test. 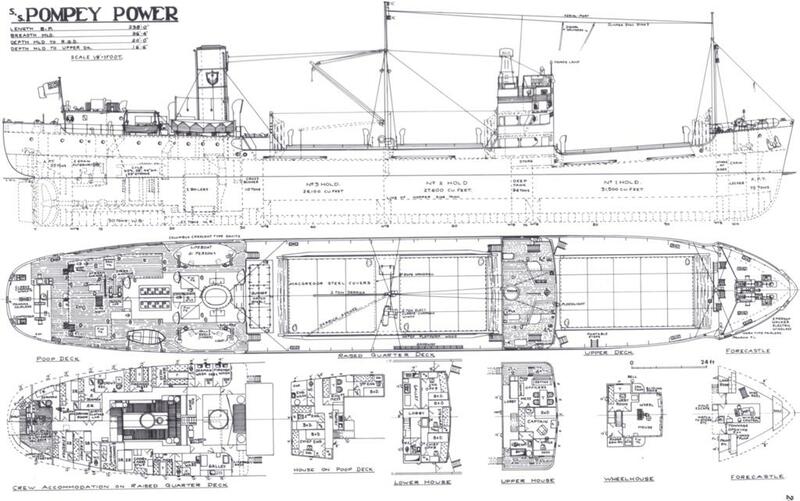 This is the second 'Austin' page, made necessary by the increasing number of listings re 'Austin' built vessels. The first page, with the first 100 vessels, is available here. Miramar lists, 11 pages, (highest hull number on each page). It used to be that you could click on the links that follow & get to the relevant Miramar page. But no longer! The new procedure must be to go to Miramar (here) & log in (you must be registered to view any page). And once you are logged in, return to this page & all the following links should work for you:- 138, 171, 203, 233, 263, 303, 324, 354, 384, 414, 420. And on this site, at page 140 is a list of 'Austin' built vessels, starting in 1831 & ending in 1959. Which list includes unnumbered vessels built as much as 43 years prior to the very first Miramar listing. Names of just a few more of the vessels constructed by 'Austin' of Sunderland - as I happen to spot references to them. In a table in build date sequence. And alphabetic within a year. But just a start! A cargo ship. Per 1 [General Steam Navigation, Laverock (3)], 2 (4 images, Laverock, re 1963 grounding, but you must now be registered to access), 3 (image, Laverock), 4 (Miramar, link, you now must be registered to access). 79.0 metres long overall, 75.2 metres perpendicular to perpendicular, twin screw, speed of 12 (or maybe 13) knots. Sister to Auk & Seamew. Laverock? The Scottish & northern English word for a skylark - General Steam Navigation Company Limited ('General'), of London, were noted for naming their ships after birds. Built for General then. Largely from data 'snippets' it seems likely that the vessel was on the London/Tilbury to Leix�es, Oporto, Portugal run, & on to Italy perhaps, bringing back casks of port wine. General made similar runs to Bordeaux, France, & Cadiz, Spain, it would seem. On Apl. 14, 1963, the vessel would appear to have gone aground at Oporto, was re-floated by the Bugsier salvage tug Atlantic on Nov. 20, 1963 & on Nov. 28, 1963 was towed to a Lisbon, Portugal, shipyard by salvage tug Praia da Adraga to effect repairs. Is it possible that that all relates to a 'snippet' I read that states that on Nov. 15 (1964, I believe), the vessel ran aground at Oporto, when caught by a wave created by a dam bursting 56 miles up on the river Douro. No casualties but the vessel was presumably damaged. Can anybody clarify matters? In 1965, the vessel was sold to 'S. Marcantonakis', of Piraeus, Greece, & renamed Chania II. In 1974, the vessel was sold again, to 'Ormi Shipping Co. Ltd.', also of Piraeus, with no change of vessel name. In May 1980 the vessel was broken up at the 'Jos� Laborda Gonz�lez S.A.' ship breaking facilities at Murcia, Spain. Anything to add? A collier. Per 1 (Miramar, link, you now must be registered to access). Built for Stephenson Clarke Limited, of Newcastle. 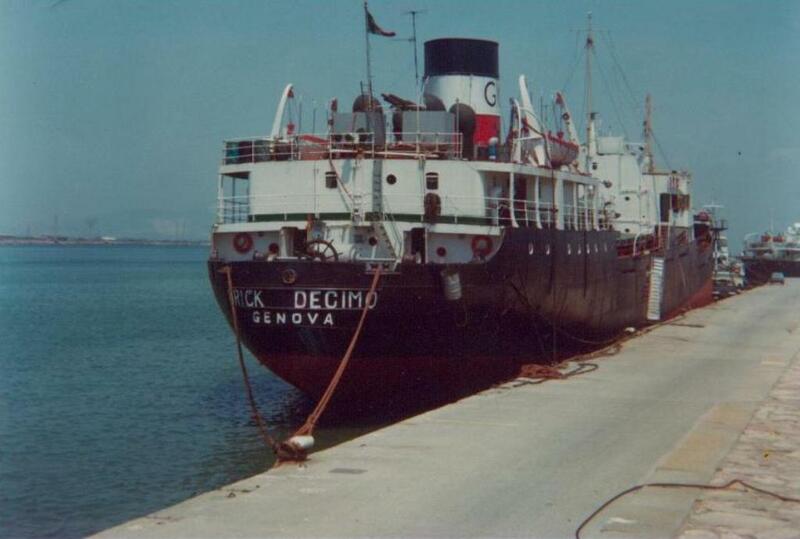 The vessel was sold, in 1971, to 'Efti Sg Co.' of Famagusta, Cyprus, & renamed Ciciliana. It was sold again, in 1972, to 'P. Alogoskoufis' of Piraeus, Greece, & renamed Georgios A. And sold again, in 1981, to 'N. Theoharopoulos Maritime Co.', also of Piraeus, & renamed Alexis Athans. Was renamed Panaghia Kastrou in 1984. Laid up in 1988. Broken up at Alexandroupolis (NE Greece near the Turkish border) in 1992. I am grateful for a now expired eBay listing for data & particularly for Miramar. WWW data is most limited. Anything to add? A cargo ship. Per 1 [General Steam Navigation, Seamew (3)], 2 (ref. ), 3 (image, Seamew), 4 (Miramar, link, you now must be registered to access). 79.0 metres long, 245 ft., speed of 12 or 13 knots. Sister to Auk & Laverock. Built for 'General Steam Navigation Company Limited' ('General'), of London. It would seem that for many years, years 1947/1952 are referenced, the vessel was on the London/Tilbury to Oporto, Portugal run, bringing back casks of port wine. General made similar runs to Bordeaux, France, & Cadiz, Spain, it would seem. On Jun. 30, 1950, while taking on bunker coal at Middlesbrough, a crew member was injured when he was knocked into the vessel's hold. Have read no details as to the circumstances or outcome. On Aug. 19, 1956, Seamew rescued the crew of Traquair, 567 tons, (en route from Leith to Terneuzen, the Netherlands, with coal slurry), which foundered in the North Sea - & landed them at Hamburg. That info thanks to the lead (no longer available) from R396040, who advises 'My part was frying sausages for survivors and lending a survivor a dry shirt & pants.' The vessel was sold, in 1966, to 'Adamantios Bousses & Co.', of Piraeus, Greece, & renamed Marigo. The vessel may have been modified since Miramar advises the gross tonnage became 1595. It was sold again, in 1972, to 'Kavadas Bros' of Greece, & renamed Capetan Chronis. On Jun. 3, 1974, the vessel, en route from Benghazi, Libya, to Piraeus, Greece, in ballast, was in collision with Hartford Express, at 34.05N/20.45E, about 150 miles due N. of Daryanah, Libya. Capetan Chronis sank in about 2,100 ft. of water. Any loss of life? Alistair Kerr has advised (thanks Alistair!) that he served aboard Seamew for 6 months commencing with her maiden voyage. You can read Alistair's words here. Anything to add? A cargo ship. Per 1 (Miramar, link, you now must be registered to access). 98.5 metres long, speed of 12 1/2 knots. Built for 'D/S A/S Progress' (M. Nielsen & Son), of Copenhagen, Denmark. The vessel was sold, in 1961, to '�ngfartygs A/B Bore' (correct name? ), of �bo, Finland, (Bore Line) & renamed Bore V. There are WWW pages re Bore Line, but I cannot spot this vessel in any of them. The vessel was sold, in 1967, to 'J. P. Hadoulis' & renamed Evandros. Broken up at Inverkeithing, Firth of Forth, Scotland, in Jun. 1968. WWW data is most limited. Anything to add? A collier, completed in Feb. 1949. Per 1 (brief ref. Pompey Light, 45% down), 2 (Miramar, link, you now must be registered to access). 242.0 ft. (73.76 metres) long perpendicular to perpendicular, 251.9 ft. (76.78 metres) long overall, speed of 10 knots, signal letters MADH, 182 HP engines by North East Marine Engineering Co. (1938) Limited of Sunderland. Sister to Pompey Power. The two vessels were 'the first ships of their type to have AC auxilliaries including provision for taking shore supply'. Ordered by City of Portsmouth. But as a result of the nationalisation of the electricity industry, the vessel was delivered to 'British Electricity Authority'. Which became 'Central Electricity Authority' in 1954 & 'Central Electricity Generating Board' in 1958. The vessel was operated by Stephenson, Clarke Ltd. It carried coal from the North East to coal-fired power plants at Portsmouth. In Oct. 1968, the vessel arrived at the Antwerp, Belgium, ship breaking facilities of 'J. de Smedt', to be broken up. Pompey Light was featured in 'Mining Review 2nd Year No. 3: Shipyard For Colliers', a 1948 'short' 35 mm film, not available for viewing by the public, however. Anything to add? A collier, completed in Jan. 1949. Per 1 (image Pompey Power), 2 (13 images, Hamen) & 3 (data, Hamen), but you must now register to see both of those links, alas, 4 & 5 (data & images, in Norwegian), 6 (lots of images available), 7 (fine Hamen restoration video), 8 (data, images & plans, low on page), 9 (data), 10 (Miramar, link, you now must be registered to access). 242.0 ft. (73.76 metres) long perpendicular to perpendicular, 251.9 ft. (76.78 metres) long overall, signal letters MADJ, 182 HP engines by North East Marine Engineering Co. (1938) Limited of Sunderland. Sister to Pompey Light. The two vessels were 'the first ships of their type to have AC auxilliaries including provision for taking shore supply'. Built for the City of Portsmouth, U.K., but with the nationalization of the U.K. electricity industry, the vessel was taken over by The British Electricity Authority ('BEA'), & operated by Stephenson, Clarke Ltd. BEA became 'Central Electricity Authority' in 1954 & 'Central Electricity Generating Board' in 1958. Carried coal from the North East to coal-fired power plants at Portsmouth. In 1960, the vessel was sold to 'A/S Orion-Tandberg & M�inichen' of Norway & renamed Tandik. The vessel's deck machinery & masts were modernised. In 1962, the vessel was sold to Hans Utkilen of Bergen, Norway, & (in 1963) renamed Hamen. The steam engine was removed & a 1,200 BHP diesel engine by Wichmann Motorfabrikk A/L, of Rubbestadneset, Norway, was installed in its stead. The vessel operated as tramp ship for many years. In 1985 or 1986 the vessel was laid up, I have read at Kjellstraum, in northern Norway. There seems to be some confusion as to exactly when, however. Maybe in 1986 as per 3, or on Nov. 12, 1985 as per 9. Harald Lorentzen writes (thanks!) to advise me that it was rather on Jun. 6, 1985, on which date, per a machine journal or logbook found in the ship's engine room the vessel was moored - the last log entry since the crew was then discharged. Efforts were made to preserve the vessel in Norway. Later (in 1996? ), the vessel was sold to Lupin Shipping Ltd. (owned by Alvar Olsson, of Varberg, Sweden) of St. Vincent. The vessel was towed to near Str�mstad, Sweden. And sat there, it would seem. A foundation was established to preserve her, which foundation purchased the vessel in 2005. Not sure of the correct name of that foundation - maybe 'Stiftelsen MS Hamen ex MS Tandik'? The vessel was painted by artist Laurence Bagley (53 x 78 cm. oil), which painting sold for GBP 75.00 via Bonhams, Bath, in Nov. 2005. No image of the artwork seems to be available. Pompey Power was featured in 'Mining Review 2nd Year No. 3: Shipyard For Colliers', a 1948 'short' 35 mm film, not available for viewing by the public, however. But do view the video at 7. Anything to add? I regret my inability in Norwegian - the vessel's current status? A collier. Per 1 (Miramar, link, you now must be registered to access). 71.7 metres long, speed of 10 knots. Likely used to carry coal from the North East to London power stations. A 'flatiron' possibly, i.e. a vessel whose funnels & masts could be lowered to permit passage under low bridges, such as on the River Thames. It was built for 'British Electricity Authority'. Which became 'Central Electricity Authority' in 1954 & 'Central Electricity Generating Board' in 1958. The vessel was sold, in 1960, to Renwick, Wilton & Dobson Limited, coal exporters of Newcastle, (with associations in the SW of England) & renamed Devon Moor. In 1963, the vessel was sold to 'Villamar S.p.A. di Navigazione', or maybe 'S.p.A. Villamar' of Cagliani, Sardinia, Italy, & renamed Villamar. In 1964, the vessel was converted into a chemical tanker, (where I wonder?) & became 1280 tons gross. The vessel had many later changes of Italian owners but not of name. The vessel was sold in 1974 to 'Misano di Navigazione SpA', also of Cagliani, in 1979 to 'Francesco Saverio Salonia', of Rome, in 1980 to 'Pompa M. Pia', of Ravenna, & in 1981 to 'Sa. I. Mar. Srl' ('Sa'), also of Rome. On Aug. 20, 1981 the vessel 'sprang a leak', developed a list, & was beached while in Piraeus Roads at Ambelaki, near Piraeus, Greece. Sa must have had financial problems, because the vessel was sold at auction, by the creditors of Sa, to N. Kontrafouris & G. Velizelos, who, on Dec. 14, 1983, began the scrapping of the vessel at the 'Splilliopoulos Iraklis Shipyards' at Perama, Piraeus, Greece. Much of the above data was found in 'snippets'. And WWW confirming the many names above is most difficult. Can you add to or correct the above? 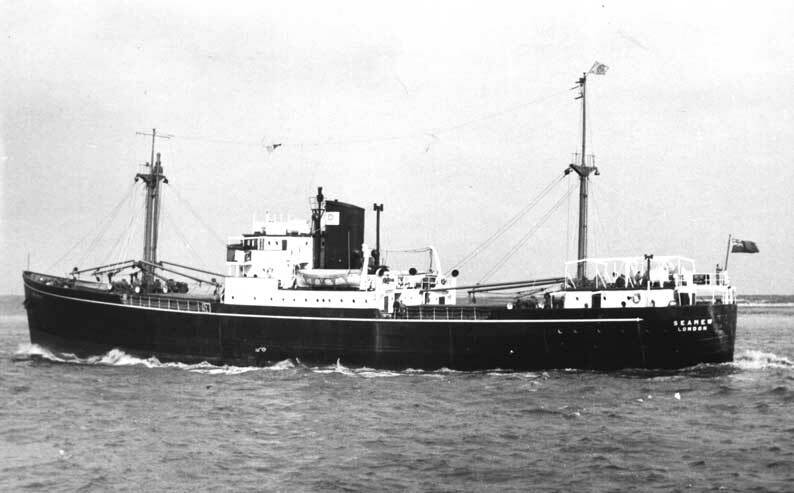 A steam collier, which became a diesel sand suction dredger. Per 1 (Miramar, link, you now must be registered to access). 71.7 metres long overall, 68.4 metres perpendicular to perpendicular, speed of 9 1/2 (or maybe 11) knots. Built for 'British Electricity Authority' ('Authority'). Which became 'Central Electricity Authority' in 1954 & 'Central Electricity Generating Board' in 1958. When the generating stations switched from coal to oil, colliers such as Brent Knoll became redundant. So in 1961, the vessel was sold, at about �20,000, to 'Douglas Arnold', of London, & renamed Brentford. And later that year (1961), the vessel was converted (where I wonder?) into a diesel powered sand suction dredger, of 1313 gross tons, for 'Foremost Dredging Co. Ltd.', of London, & renamed Wightstone. In 1965, the vessel was sold to James Contracting & Shipping Co. Ltd. & in 1967 to Westminster Gravels Ltd., both of London, with no change of name in either sale. The vessel was, in 1976, sold at a price of �36,000 to 'T. W. Ward Ltd.', & on Oct. 8, 1976, the vessel arrived at their Gray's, Essex, ship breaking facilities to be broken up. Break up commenced in Feb. 1977. There are very few WWW references to the vessel. Am grateful for the data at Miramar. Can you add to and/or correct the above? A cargo ship. Per 1 (text re wreck & small image), 2 (underwater wreck images), 3 & 4 (accounts of the disaster), 5 ex 6 (Court of Inquiry), 7 (Miramar, link, you now must be registered to access). 95.9 metres (302.5 ft.) long, speed of 9 1/2 knots. Built for William France Fenwick & Co. Ltd. of London. On Aug. 11, 1955, while en route from Walton, Nova Scotia, Canada (left Aug. 7, 1955), to Port of Spain, Trinidad, with a cargo of barites or barytes (used in drilling), the vessel ran aground on a coral reef 8 3/4 miles S. of Bermuda (off Gibbs Hill Light). She was pulled off by U.S. Navy tug Papago & U.S. Coast Guard Cutter Rockaway. Her rudder being damaged & under most difficult conditions (high winds from hurricane Diane) she was towed by the stern towards St. George's Harbour, Bermuda. Crew from Rockaway joined the ship's crew in trying to save the vessel. But in difficult weather conditions & with the pumps failing, the vessel could not enter the harbour & was abandoned by its crew on Aug. 13, 1955. The crew was rescued by Rockaway, whose own crew aboard Wychwood were then saved in most difficult conditions. On Aug. 14, 1955, at 11:50 a.m., the vessel sank at Five Fathom's Hole (at extreme right in this 'Flash' map). At left is a fine image of Wychwood's builder's brass plate, Hull No. 405, thanks to diver Russell Whayman. Russell advises that the wreck is not a protected wreck having sunk with its bow in only 50 ft. of water & becoming a shipping hazard accordingly. The forward section of the ship had to be blown up, while the aft section, from the bridge back, was left intact & lies in 75 ft. of water. A dive site today, but visited infrequently. The Marine Court of Inquiry concluded that the primary cause of the stranding was the negligence of her master, Captain Aeron Thompson (both 3 & 4 rather state Thomas) - navigational & communication errors, also the ship was not equipped with a chart of Bermuda. Can you add anything? A coaster or collier. Per 1 & 2 (both Stephenson Clarke), 3 (image, Ardingly), 4 (Miramar, link, you now must be registered to access). 77.2 metres long overall, 73.2 metres perpendicular to perpendicular, 240 ft., speed of 10 1/2 knots (11 knots at trials). Launched on Oct. 25, 1950 by Mrs. G. Sulzer, as you can see in the wonderful launch image at left, kindly provided by Tom Millar. Tom advises that his father, also named Thomas (Tom) Millar (1903/1987), was General Manager of 'Austins' from about 1950 through 1957/58. I presume that Mrs. Sulzer relates in some way to the diesel engine builder of that name. Built for 'Stephenson Clarke Ltd.', of Newcastle, which company in 1968 became 'Stephenson Clarke Shipping Ltd.'. Said to be the oldest U.K. shipping company in existence, (dates from 1730), they were also, I read, one of the largest coal factoring companies in the U.K. Two books about Stephenson Clarke. Ardingly? A village in West Sussex located about 33 miles S. of London, home of Ardingly College. The vessel carried coal from the NE to the S. of England & particularly to the power station at Poole, Dorset, & later carried bulk cargoes including limestone & grain. The vessel was sold, in 1971, to 'John Kelly Ltd.', (John Kelly Wilson the manager), of Belfast, Northern Ireland, (which company was partly owned by 'Stephenson Clarke'), & renamed Ballyrobert. It was sold again, in 1977, to 'Oreosa Navigation Co. Ltd.', of Limassol, Cyprus, & renamed Lucky Trader. In 1982, the vessel arrived at Piraeus, Greece, to be broken up. Anything you could add would be most welcome. A collier. Per 1 (Miramar, link, you now must be registered to access). 82.4 metres long overall (270 ft. 6 in. ), 78.3 metres perpendicular to perpendicular, speed of 11 knots. Sister ship to Blackwall Point. Carried coal from the North East to London power stations. A 'flatiron' i.e. a vessel whose funnels & masts could be lowered to permit passage under low bridges, such as on the River Thames. The vessel was presumably named after the W. London power station of the identical name. The ship was built for 'British Electricity Authority'. Which became 'Central Electricity Authority' in 1954 & 'Central Electricity Generating Board' in 1958. 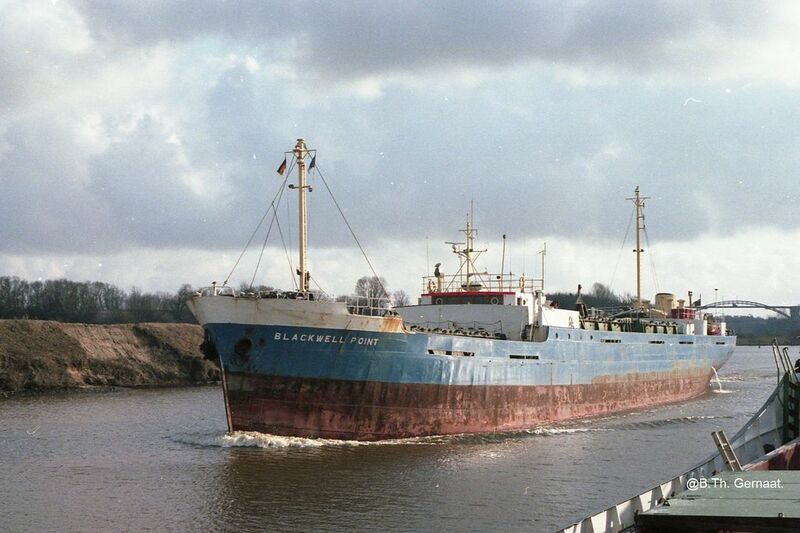 It would seem that later, in 1981 I think, the vessel was owned by 'Le Blond Shipping Co.' ('LeBlond'), who renamed it Grainville & sold it, also in 1981, to Alba Shipping Co. Ltd., of London, with LeBlond the managers, possibly of South Shields - no further change of vessel name. On Dec. 14, 1981, while en route from Belfast, Northern Ireland, to Bilbao, Spain, with a cargo of scrap iron, the vessel capsized & sank. At 52.02.04N/6.12.13W, about 10 miles SW of Tuskar Rock Light, off the SE coast of Ireland near Rosslare. 4 (or maybe 3 only) lives were lost of the crew of nine. I have not read the circumstances. Due to reasons of copyright, I presume, relatively recent data seems to be simply unavailable. A WWW data 'snippet' advises, however, that the cargo shifted, & that she failed to seek 'shelter or broadcast a distress message and obtain assistance in sufficient time.' Can you add to or correct the above? A collier. Per 1 (image, Blackwall Point, but you must be registered to see it), 2 (image, Blackwell Point, 70% down), 3 (Chipchase, ref. 50% down), 4 (Miramar, link, you now must be registered to access). 82.4 metres long (270 ft. 6 in.) overall, 78.3 metres long perpendicular to perpendicular, speed of 11 knots. Sister ship to Battersea. The ship was built for 'British Electricity Authority' (BEA'), & managed by Stephenson, Clarke Ltd. A 'flatiron', i.e. a vessel whose funnels & masts could be lowered to permit passage under low bridges, such as on the River Thames - since the vessel was presumably named after the power station of the identical name, at Blackwall, in E. London. Carried coal from the North East or from Barry, Wales, to London power stations. In 1957, the vessel ran aground in the Thames near Rotherhithe Tunnel, but was re-floated in 2 hours. From 1958 to 1960, vessel was mainly on the Dunston (Gateshead) to Battersea power station run. BEA became 'Central Electricity Authority' in 1954 & 'Central Electricity Generating Board' in 1958. On Jul. 8, 1964, Chipchase, a 106 ton tug, turned over sideways & sank while assisting Blackwall Point at Blyth Dry Docks. The vessel was sold, in 1976, to 'Erika Shipping Co. S.A.', of Colon, Panama, & renamed Blackwell Point. The vessel would appear to have been laid up for a couple of years commencing in 1986. Also in 1986, the vessel was sold to 'Lotus Shipping Ltd.', also of Colon, Panama, with no change of name. On Nov. 27, 1994, the vessel arrived at the Bruges (Brugge), Belgium, ship breaking facilities of 'Scheepsloperij Bakker N.V.', to be broken up. Can you add to or correct the above? A collier. Per 1 (image, Brunswick Wharf), 2 (Swedish page, Fjordcem, 3rd item), 3 (link 3, WWW translated), 4 (Miramar, link, you now must be registered to access). 82.4 metres (270 ft. 6 in.) long, speed of 10 1/2 (or 10) knots. Carried coal from the North East & from Swansea, Wales, to London power stations. A 'flatiron', i.e. a vessel whose funnels & masts could be lowered to permit passage under low bridges, such as on the River Thames - since the vessel was presumably named after the power station of the identical name, now long gone, however, at Blackwall, in E. London. It (the ship & the power station) was built for 'British Electricity Authority'. Which became 'Central Electricity Authority' in 1954 & 'Central Electricity Generating Board' in 1958. The vessel was laid up for a while before being sold, in Sep. 1972, to Poul Christensen, of Aalborg, Denmark, for 'upp-huggning' (whatever that means! ), & renamed Allan C. The ship was taken to Nakskov, S. Denmark, the machinery removed (in Dec 1972, it would seem) & she became a barge. In 1974 the vessel was towed to Norway, renamed Fjordcem, & used, after installation (by A/S Hymo?) of the necessary pumps & pipelines, for the storage of bulk cement. The vessel, stationed perhaps at �ndalsnes, Norway, supplied cement for North Sea drilling platforms & for the construction of Canary Wharf Tower, in London. Towed there by tug Bj�rn Eskil for the purpose. In 1992, Fjordcem was stationed in Western Norway, & sold to Norwegian contractors, who 'put her up in Gannsfjorden as cement stocks of derricks in the North Sea'. In 1996 she was mothballed at Hinn�ya, Stavanger, awaiting new assignments. Miramar advises us that the vessel was still a hulk at Oslo, in 1998. Maybe owned by 'Norcem A/S', of Norway, with K. G. Jebsen, of Bergen, Norway, the managers. The above will surely need correction, since the webmaster has no ability in Swedish, the WWW translation at 4 is difficult, & much data was found in 'snippets'. Can you add to or correct the above? A 'flatiron' collier. Per 1 (Miramar, link, you now must be registered to access). 270 ft. 6 in. long (82.45 metres) overall, 78.3 metres perpendicular to perpendicular, speed of 10 1/2 (or 10) knots, signal letters GMDD. Carried coal from the North East to London power stations. A 'flatiron' i.e. a vessel whose funnels & masts could be lowered to permit passage under low bridges, such as on the River Thames - since the vessel was presumably named after Deptford in E. London. The ship was built for 'British Electricity Authority'. Which became 'Central Electricity Authority' in 1954 & 'Central Electricity Generating Board' in 1958. Hackney was converted in 1968 - from coal to oil burning perhaps? I wonder whether Deptford was also? On Feb. 6, 1973, the vessel arrived at the T. W. Ward Ltd. ship breaking facilities at Briton Ferry to be broken up. The WWW record for this ship is modest - but the search terms i.e. Deptford, Austin, etc. are difficult. Can you add to or correct the above? A coaster or collier. Per 1 (Stephenson Clarke), 2 (image, Gosport), 3 (Miramar, link, you now must be registered to access). As I update this page an image of Sanastasia is eBay available. But forgive me if I invite you to find it for yourself. I do not like to 'reward' eBay vendors by linking to images that bear excessive intrusive logos. 79.86 or 79.9 metres long overall, 76.0 metres perpendicular to perpendicular, 249 ft., speed of 11 knots. Built for 'Stephenson Clarke Ltd.', of Newcastle, which company in 1968 became 'Stephenson Clarke Shipping Ltd.'. Said to be the oldest U.K. shipping company in existence, (dates from 1730), they were also, I read, one of the largest coal factoring companies in the U.K. Two books about Stephenson Clarke. The vessel was sold, in 1972, to Sanastasia Ltd., of Famagusta, Cyprus, & renamed Sanastasia. It was sold again, in 1973, to 'Blue Pilots Navigation Co. Ltd.', also of Famagusta, & renamed Massys. In 1975, the vessel was sold to Overtania Shipping Co. Ltd., of Limassol, Cyprus, with no change of name. On Dec. 7, 1977, while en route from Bulgaria to Apapa Quay at Lagos, Nigeria, via Conarkry, Guinea, with a general cargo, the vessel suffered an explosion in her engine room. A fire resulted & the vessel sank. At 9.14N/14.58W. Off the coast of Sierra Leone or Guinea, W. Africa. All of the crew of 10 were rescued by the Russian 'roll-on, roll-off' motor vessel Inzhener Machulskiy & landed at Las Palmas. I read that the chief engineer & the second engineer both had to be hospitalised with burns. Anything you could add would be most welcome. A collier. Per 1 & 2 (image, Bulk I, text), 3 (Miramar, link, you now must be registered to access). 82.4 metres (270 ft. 6 in.) long overall, 78.3 metres perpendicular to perpendicular, speed of 10 1/2 (or 10) knots. Launched on Nov. 14, 1951 by Miss Josephine Clarke, as you can see in the wonderful launch image at left, kindly provided by Tom Millar. Tom advises that his father, also named Thomas (Tom) Millar (1903/1987), was General Manager of 'Austins' from about 1950 through 1957/58. Hackney carried coal from the North East to London power stations. A 'flatiron' i.e. a vessel whose funnels & masts could be lowered to permit passage under low bridges, such as on the River Thames - the vessel was presumably named after Hackney and/or the power station located there, in E. London. The ship was built for 'British Electricity Authority', which became 'Central Electricity Authority' in 1954 & 'Central Electricity Generating Board' in 1958. It would seem that the vessel was converted in 1968 - from coal to oil burning I presume. The vessel was sold, in 1972, to 'Estrella Shipping Co. Ltd.', of Famagusta, Cyprus, & renamed Bulk I. It was sold again, however, also in 1972, to 'Firma Woekatz' (who were they I wonder?). And arrived at Gothenburg, Sweden, on Aug. 4, 1973 to be converted into a barge. At Lindholmen? I read that the ship yard at Lindholmen, a long established shipyard indeed, was integrated into 'Mek. Verkstads Eriksbergs AB' in 1970, & in 1973 was in process of being closed down. But the 'demolition' of Bulk I was in progress at Lindholmen in Sep. 1973, I read. Andy Larsson, via 3, has provided two images of the vessel at Varberg, Sweden, in Jun. 1973 (a date possibly in error?). He indicates that after unloading, the ship was towed to Gothenburg & broken down & rebuilt there as a barge named Greta. Thank you Andy! I wonder i) why she had to be towed, ii) who then owned Greta & iii) what later happened to Greta. Part of the above was assembled from WWW data 'snippets', easily misinterpreted. Can you add to or correct the above? A coaster or collier. Per 1 (ref. to the Charrington company), 2 (Miramar, link, you now must be registered to access). 87.0 metres long (285 ft.) overall, 82.4 metres perpendicular to perpendicular, speed of 10 knots (or 10 1/2 knots, 11 knots at trials), raised quarter-deck. Carried approx. 2,900 tons of coal. Built for 'Charrington, Gardner, Locket (London) Ltd.' ('Charrington'), of London. Are the two commas in the name correct? But maybe owned then or later by 'Charrington Steamship Co. Ltd.'. Used in the shipment of coal from the North East to London & other cities in southern England. Charrington were long-established coal & coke merchants, dating from 1731, apparently headed by five generations of men named John Charrington. The company expanded into transporting coal as well as selling it. In Oct. 1969, the vessel arrived at the Inverkeithing facilities of 'T. W. Ward Ltd.', to be broken up. Anything you could add would be most welcome. A collier. Per 1 (Miramar, link, you now must be registered to access). 73.3 metres long overall, 69.8 metres perpendicular to perpendicular, 228 ft. 6 in., speed of 10 knots, specially designed for service on the Australian E. coast i.e. service from the jetty at Catherine Hill Bay (see below) to Sydney. Launched on Feb. 12, 1952 by Mrs. F. C. S. Parbury, as you can see in the wonderful launch image at left, kindly provided by Tom Millar. Tom advises that his father, also named Thomad (Tom) Millar (1903/1987), was General Manager of 'Austins' from about 1950 through 1957/58. Built for 'The Wallarah Coal Company Ltd.' ('CoalCo'), of London & Sydney, Australia. The 3rd company vessel of the name. The crew of 21, who sailed her to Australia, did not return to the U.K. - all chose to settle in Australia. CoalCo, established back in 1888, operated a giant coal mine, (origins as early as 1865), located at Catherine Hill Bay, near Newcastle, New South Wales, Australia. A mine that closed in 1963. The vessel was transferred, in 1956, with no change of vessel name, to 'J. & A. Brown Abermain Seaham Collieries Limited' (who acquired CoalCo in 1955), of Sydney. That maybe should be 'John and Alexander' instead of J. & A.'? In 1971, the vessel was sold to Captain Emile Savoie, of Noum�a (New Caledonia, French, South Pacific Ocean) & renamed Sorana-Del-Mar. Engaged primarily on the Noum�a to Sydney run. On Jul. 5, 1974, while en route from Noum�a to Auckland, New Zealand, with a cargo of scrap iron, the vessel capsized while in tow, 12 miles off Cape Brett, N. Island, New Zealand. Have not been able to read the circumstances. Can you tell us? Meaningful WWW data about this vessel is essentially non-existent. Anything you could add would be most welcome. An image? A cargo ship, a collier. Per 1 (Stephenson Clarke), 2 (1950's image incl. Borde), 3 (Miramar, link, you now must be registered to access). 104.8 metres (344 ft.) long, speed of 10 1/2 knots. Launched on Apl. 28, 1953 by Lady Merrett, as you can see in the wonderful launch image at left, kindly provided by Tom Millar. Tom advises that his father, also named Thomas (Tom) Millar (1903/1987), was General Manager of 'Austins' from about 1950 through 1957/58. Built for 'Stephenson Clarke Ltd.', of Newcastle, which company, in 1968, became 'Stephenson Clarke Shipping Ltd.'. Said to be the oldest U.K. shipping company in existence, (dates from 1730), they were also, I read, one of the largest coal factoring companies in the U.K. Stephenson Clarke? A book, written by Peter Cox, about the company was published in 1980, entitled 'A Link with Tradition - The story of Stephenson Clarke Shipping Limited 1730-1980'. And another, in 1981, by Craig J. M. Carter entitled 'Stephenson Clarke Shipping'. Both would presumably have data about Borde. The vessel was sold, in 1968, to Balmoral Shipping Corporation, of Liberia (S. M. Bull, the managers), & renamed Balmoral. The vessel was sold, in 1971, to 'International Activity Shipping & Investment Co., S.A.', of Panama, (Duodo & Co. the managers), & renamed Eileen. And sold again, in 1977, to 'Aryl Inc.', also of Panama, (N. Patella, the managers), & renamed Aryl. In May 1978, the vessel arrived at the ship breaking facilities of Sidermar S.p.A., at Trieste, Italy, to be broken up. Anything you could add would be most welcome. A cargo ship, indeed a collier. Per 1 (Miramar, link, you now must be registered to access). 82.4 metres long overall, 78.5 metres perpendicular to perpendicular, speed of 10 knots. A 'flatiron' i.e. a vessel whose funnels & masts could be lowered to permit passage under low bridges, such as on the River Thames since it was built for North Thames Gas Board, & maybe elsewhere too. The vessel was sold, in 1966, to 'Stephenson Clarke Shipping Ltd.', of Newcastle, & renamed Harting. It was sold again, in 1975, to 'Knight Shipping Co. Ltd.', of Limasoll, Cyprus, & renamed Cosmic. The vessel arrived at the Eleusina, nr. Piraeus, Greece, ship breaking facilities of 'E. Pederaki OE', in Dec. 1978, to be broken up. Anything you could add would be most welcome. A refrigerated cargo ship. Per 1 [Adjutant (3)], 2 (image, Adjutant, but you must be registered to see it), 3 (Miramar, link, you now must be registered to access). 79.2 metres long, speed of 13 knots, signal letters MSFL. Built for General Steam Navigation Company Ltd. ('General'), of London. 2 references the vessel with the colours of Moss Hutchinson Line Ltd. That company, like General, was owned by Peninsular & Oriental Steam Navigation Company (i.e. P&O Line). The vessel was sold, in 1966, to Cove Shipping Co. Ltd., of Nassau, the Bahamas, (maybe Yugoslavian owners) & renamed Galiola. In 1970, the vessel was sold to 'Lopedra Shipping Corp of the Bahamas Ltd.', with no change of name. And in 1974, again with no change of name, the vessel became owned by 'Losinjska Plovidba', of Rijeka, Yugoslavia. The vessel was broken up at Split, Yugoslavia, in 1982. Anything you could add would be most welcome. A collier. Per 1 (data), 2 (Frederick John Evans, 1818/1880, biographical data), 3 (Miramar, link, you now must be registered to access). 104.8 metres long overall, 99.1 metres perpendicular to perpendicular, speed of 10 1/2 knots. Built for North Thames Gas Board & managed by 'Stephenson Clarke'. Named after a noted civil engineer of the name who, for over 40 years, was with 'The Gas, Light & Coke Company'. He designed & constructed 'Beckton Gas Works' & retired as its Chief Engineer. The vessel delivered coal to the Beckton Gas Works. The vessel was sold, in 1966, for �100,000, to 'Braemar Shipping Corp.' of Monrovia, Liberia, & renamed Braemar. The vessel was sold again, in 1971, to Gino Gardella, of Genoa, Italy, & renamed Brick Decimo. In Sep. 1982, the vessel arrived at the La Spezia, Italy, ship breaking facilities of Terrestre Marittima S.p.A., to be broken up. Break up commenced on Oct. 27, 1983. Anything you could add would be most welcome. A collier. Per 1 (stunning image, Bramber, at Dover, in the 1970s), 2 (2 images, Bramber, near page bottom), 3 (Miramar, link, you now must be registered to access). 80.8 metres long overall, 77.0 metres perpendicular to perpendicular, 264 ft. 1", speed of 10 knots, signal letters MSGG. Built for 'Newbigin Steam Shipping Co. Ltd.' ('Newbigin'), of Newcastle. 'E. R. Newbigin Limited', the owner & manager? Newbigin, founded in 1896, ceased operations in 1960. Duncan Lumsden, Chief Engineer, apparently died aboard the ship in 1956. In 1960, the vessel was sold to 'Stephenson, Clarke Ltd.', of London, & renamed Bramber, after the Sussex village of the name. Presumably carried coal from the North East to the S. of England & likely to the Shoreham Power Station & the Thames. In 1968, the vessel was sold to 'Maldives Shipping Limited', of Male, Republic of Maldives, & renamed Maldive Sailor. In Jan. 1975, the vessel arrived at Gadani Beach, Pakistan, to be broken up. Do you have more data? Tony Frost advises (thanks!) that further vessels were constructed at the Wear Dockyard, after S. P. Austin & Son Ltd. became part of Austin & Pickersgill Limited in 1954. Specifically hull numbers 419 through 436. See here. The last hull number for S. P. Austin & Son Ltd. was, I am advised, #418. 'Where Ships are Born' refers to a Southwick ship building partnership named 'S. Austin & Mills'. The 'S. Austin' would appear to be one of the members of the Austin family, but I cannot tell you which particular one it was. A partial list of vessels built by Austin & Mills can be found on page 140. Here. 43 vessels are currently listed there. It would seem that Austin and Mills built about 70 vessels in total. A schooner. The vessel is Lloyd's Register ('LR') listed from 1843/44 thru 1846/47 & not thereafter. It was owned, for that brief period by Ogle & Co. of Sunderland, for service as a Sunderland coaster. LR of 1846/47 notes that the vessel had been 'LOST'. I have no other data but note that Ogle & Co. acquired a second vessel of the name, perhaps after this vessel was lost. LR of 1846/47 records Ogle & Co. as owning two vessels of the name, the 2nd being a snow of 164 tons, built at Sunderland in 1845 - with 'Lawson' the captain of both of the vessels. The later vessel for service from Sunderland to Boulogne, France. A ship. The vessel is Lloyd's Register ('LR') listed from 1841/42 thru 1850/51, and, so far as I can see, not thereafter. It has the distinction of being mentioned in 'Where Ships are Born' which refers at page bottom to an 'S. Austin & Mills' shipbuilding partnership & informs us that 'some very fine ships were launched under the supervision of George and John Mills'. And specifically mentions Judith Allan in that regard - owned by John Allan & placed into the China trade. For all of the above indicated years, J. Allan of London is LR listed as the vessel's owner, with T. Hayes her captain. For service from London to China in 1841/42 & 1842/43 & for service thereafter from London to Calcutta (now Kolkata), India. There are references to the vessel in publications including 'Allen's Indian Mail ...' re the vessel's trading from London to Calcutta & other Far East ports, indeed carrying troops to Calcutta. A c.1845 pencil sketch of the vessel in Hong Kong harbour is available via the image at left. I have not so far spotted what happened to the vessel, in or about 1851. Was it lost in some way? Or sold to a non U.K. owner? Can you provide that detail or otherwise add anything? A barque. The vessel is Lloyd's Register ('LR') listed from 1845/46 thru 1876/77 &, so far as I can see, was registered at London for its entire lifetime. Launched on Apl. 23, 1845, it was first registered on May 22, 1845, owned by Colling & Co. of London, thru 1862/63 per LR. For service to Demerera, (Guyana, N. coast of South America), from Sunderland (in 1845/46) & from London (in 1846/47 & 1848/49). For the years from 1851/52 thru 1855/56 & in 1860/61, LT records the vessel as trading from London to the West Indies. Under 'Colling' ownership, the vessel, per LR, had 3 captains - Mules or R. Mules thru 1850/51, Evans or W. Evans from 1851/52 thru 1855/56 & again from 1859/60 thru 1862/63, & W. Edm'nds from 1856/67 thru 1858/59. Many owner changes in the following years. In 1862/63, 'Thomson' became the vessel's owner with G. Shadrake her captain for service from London to the West Indies. In 1863/64, T. & A. Carter became her owners, with Milne or G. Milne her captain for continued service to the West Indies i) ex London in 1863/64 & ii) ex Sunderland in 1864/65. Note however that the Mercantile Navy List ('MNL') of 1865 records 'Cindunur and Thomson', of London, as the vessel's then owner. In 1865/66, per LR, W. Morrison of London, (MNL of 1867) became the vessel's owner, with Thompson & W. Goddard her captains, for service from Sunderland to the West Indies & from Shields to Lisbon, Portugal. From 1867/68 thru 1872/73, 'Simpson' became the vessel's owner for service from London to the West Indies, with Honeyborne serving as the vessel's captain. (Per MNL of 1868 & 1870, 'Simpson' means Miss Fanny Simpson of Wimbledon, Surrey. Yet more owner changes! In 1872/73, per LR, Ebblewhite & Co. of Whitby (Geo. Ebblewhite per MNL of 1874), became the vessel's owner with J. Cummins her captain. For service from Whitby, Yorkshire, to the West Indies. John Cummins in 1875 & in C. Harrison in 1876, both also of Whitby, were the vessel's following owners. The vessel was listed at 107.5 ft. long & 26.7 ft. wide in LR from 1864/65. From 1867/68 the vessel's length was LR listed at 111.8 ft with an increased width also (27.0 ft.). Was the vessel partially rebuilt, I wonder? Or a recording error corrected? Signal letters PBFW. Some crew lists thru 1874 are here. LR of 1876/77 notes that the vessel had been 'LOST'. For a very long time, in this spot, I indicated that George Barker had a shipbuilding yard, in the Wreath Quay area from 1843 to 1870. It would now seem that those dates are rather the total period during which George Barker built ships - initially, from 1843, at North Dock, then (certainly in 1853) at Wreath Bank/Ravenswheel, & from 1863 at Wreath (or Wreaths) Quay. We thank 'Local Studies' for that interesting data. It would appear that he built wooden sailing ships only & stopped building ships in about 1870 when building ships of iron became the norm. 'Local Studies' also advises us that George Barker was long involved in the local political scene, as a Councillor during the period of 1855-1869 & thereafter, until his death in 1880, as an Alderman. Now this section is largely prepared from data kindly provided by Andrew Barker - George Barker was Andrew's GGG Grandfather. Andrew tells us that George was 'quite ill' for a number of years prior to his death in 1880. The 'Local Studies' data is available via an on site 'George Barker' build list or directly from here. Andrew advises us that the Barkers' came originally from Staffordshire. William Barker, George Barker's grandfather, was a potter at Southwick near to Wreath Quay. William & his wife Sarah (nee Hinton) had many children - 8 maybe though a number of those died at birth or when very young. The move into shipbuilding came later. While Andrew is not certain, it would seem that George Barker may have been an illegitimate child, the mother maybe being Ann Barker (Hannah Barker perhaps) (b.1796), who would have been 19 years old when she had George. George would seem to have had two uncles, James, just 10 years older than George, a Master Smith, Blacksmith & ship smith who lived at 58 Hendon Street & worked in Union Lane. And another uncle also named George. George married & had three children, it would appear. There were many Barkers' & the historical record, even census & local directory data, is quite confused particularly re the names of Barkes & Barker. If you can provide additional data, do please consider doing so. Names of just a few of the vessels constructed by 'Barker' of Sunderland - added as I happen to spot references to them. In a table in registered date sequence. Just two vessels so far. A barque. 119.3 ft. long, signal letters VPTH. Vessel not listed at Miramar. Built for 'Ln'gridge', of Sunderland, for the Mediterranean & Black Sea trade. Note however, that the Mercantile Navy List ('MNL') of 1870 states George H. Loveridge to be the vessel's then owner. The webmaster has a number of editions of Lloyd's Register ('LR') available - see left. In 1874/75, J. Tully & Co.), also of Sunderland, became the vessel's owners (in 1880, per the MNL, George Tully). And so it stayed, a barque, owned by Tully, thru 1889/90, the last edition of LR that I have available. The eBay listing which stimulated this listing referred to the vessel later becoming a barquentine named Maria Dolores, & that in 1916 'she was sold to Las Palmas'. Absent later editions of LR, I cannot determine when the vessel became Maria Dolores, nor when she became a barquentine. What finally happened to her, I wonder? Bob Todd, Specialist Curator of Historic Photographs at the National Maritime Museum ('NMM') in Greenwich, has kindly been in touch (thanks so much Bob!) to add to the history. As far as Bob can tell the vessel never was, in fact, a barquentine. LR of 1890/91 first records her as Maria Dolores, a barque, indeed Spanish owned. And the LRs of 1896/97 thru 1921/22 record the vessel, renamed J.R., as still a barque. The vessel is not listed in the 1922/23 edition. A 1914 image in the NMM collection shows her at Lowestoft Harbour, still a barque. Can you add anything additional? For a long time indeed, this section was little more than a name & a couple of dates. 'Barkes' had, I understood, a shipbuilding yard in the Wreath Quay area from 1838 to 1869. Thanks to Stan Mapstone here. Now, in late Oct. 2009, thanks to data sources provided by Diana Stewart, we can modestly expand this listing re 'Barkes'. The data would seem to originate from two main sources, from an article of unknown date by 'Blue Peter', writer/contributor to the 'Sunderland Echo' I do believe, really J. W. (Bill) Smith, of Gateshead, one of the authors of 'Where Ships Are Born' & from Stan Mapstone referred to above. Specifically from here & here. The 'Barkes' story seems to commence with John Barkes, (1781/1862), cartwright & carpenter of Low Road, Bishopswearmouth. The family name is sometimes referred to as 'Barkas' or 'Barkus'. Now John had (at least) three sons, named James (1807/1890) and John (1812/1885), James being the older of the two. And also Robert (1816/1895) who is Diana Stewart's ancestor & also worked at the shipyard. 1834 found James building ships, at Wreath Quay, but, it would seem, for a short time only, i.e. through 1842/3 when the depression known as the 'Hungry Forties' put him & many others out of business. The business reopened in 1844 under John Barkes, who had by then shipbuilding in his blood - he apparently trained as a shipwright & draughtsman under James Laing, & may have built ships at both Milford Haven & at South Hylton before going into business at Wreath Quay. He married Isabella, daughter of Deptford shipbuilder John Robinson. I wonder whether James & Robert were involved in the business in its later years? Shipbuilding continued at Wreath Quay through until 1869, with a total of some 60 ships built over that period. Does anybody have a listing of the vessels produced by the Barkes yard? And ship repairing was an important component of the business also, a 'grid iron', an early version of the Austin 'pontoon' perhaps, being provided at riverside. Ships were floated onto it at high water & were repaired while the tide was out. Do please note that the above data does not perfectly match the names & dates at the head of this section, which data originated, I read, in J. F. Clarke's 'Building Ships on the North East Coast'. Of particular interest to the webmaster is J. F. Clarke's reference to 'Barkes & Clark' in 1852. More re that association or partnership a little further below. Please note also that the webmaster is not 100% clear as to where exactly Wreath Quay was located. There is a Wreath's Quay on the north bank of the river, rather to the west of the bridges & shown on this 1895 map. But it would seem that the term was applied also to what later became known as 'Bridge Dock', on the north bank & immediately to the west of the railway bridge. Can you clarify that matter? The consensus seems to be that the 'Barkes' Wreath Quay is the one shown in that 1895 map. Ships at that time were of modest size, mainly brigs & barques up to a few hundred tons. 'Blue Peter' mentions a few of the ships that they built. Eleanor the very first 'Barkes' ship of all, Harbinger & Tiberias, both barques used in cargo-passenger trade to Australia, & Ancient Mariner, a fully rigged ship & the largest ship ever produced by the yard at 619 tons. The entire build list must be quite extensive. And we must especially note Loftus. Iron shipbuilding was introduced to the Wear in a strange manner, and very little indeed is known of the circumstances connected with it, for the first iron ship was built by George Clark, who became famous as a marine engine builder, and whose name is still in Sunderland engineering to-day. Her name was Loftus, and she was built by George Clark in conjunction with John Barkes who was a shipbuilder. She was very small, of 77 tons, was schooner rigged and classed A.1 at Lloyds. The owner was G. Foster, the vessel described as a Sunderland coaster belonging to the port of Sunderland. There is no proof that she was fitted with a screw, nor is there any support for this theory in Lloyd's Register of Shipping. One wonders, however, why George Clark, an engineer, was connected with the building of a ship, and why this launch, which took place on February 27, 1852, was the only one with which he was associated. There is only one reference available on the subsequent career of the Loftus. This states that she was engaged by the Consett Iron Company in the carrying of iron ore from the Cleveland district to the Wear. The 'partnership' of Barkes & George Clark would seem to have been of a short duration - just 1852. From my perspective, it seems to me that Loftus should be credited to 'Barkes & Clark' rather than only to Clark or even to 'Clark & Barkes'. Barkes would seem to have been the shipbuilder & the lion's share of the ship's building must surely have been conducted at a shipyard. And whatever George Clark (1815/1883 or maybe 1885) contributed to the partnership, which contribution you would think would relate to engines or to the use of metals generally, would be secondary to the carpentry/shipbuilding skills necessary for its then building - absent any record that the Loftus was steam engine powered. George is noted, of course for his marine engines constructed at the G. Clark Ltd. Engine Works, immediately to the east of the Queen Alexandra Bridge. George's facility was in 1852 described as being a 'boiler works' at Deptford. His very first marine engine was installed, I read, in James Laing's Alfred, two years later in 1854. I suspect that Clark may have been involved only with the iron used in the hull construction. It is interesting to note, however, the words of J. A. Marr recorded here. He indicates that the first screw propelled steamship built at Sunderland was Experiment, & that Loftus was the second. Now Experiment may not properly count because she was built as a sailing ship & only later, when altered by Robert Thompson, became a steamer. But his words re Loftus are intriguing indeed. He indicates that Loftus was built by Barkus but engined by George Clark. Loftus is listed, I see, in Lloyd's Register of 1856/7 at least, but I cannot spot the name in the editions of 1862/3 & 1865/6. So it may very well have had a change of name in the interval. Can you add anything to this whole most interesting subject? Such as ...Who was G. Barkes? Not, I am advised, another son of John Barkes, (1781/1862). More data re Loftus? A build list? Or, could it be possible, any related images? If so, your contribution would be most welcome. First the good news. A start on a list of eBay vendors whose maritime & Sunderland related listed items include quality images without intrusive logos. Just a few vendors with items regularly in my watch list. In alphabetic order. I will add to it as other sites come to mind. But ... suggestions for vendors to be added to the list would be most welcome. It would be my hope that the vendors listed below will be rewarded by eBayers, for the integrity of their listing practices. I do hope that you will not find the following to be presumptuous. In building these pages, the webmaster has found lots of data relevant to the particular subject at hand via eBay 'university'. Often not by specifically searching for it, rather by finding it by accident. A reference to a book perhaps, maybe an early print or an interesting postcard. And last but not least images, most often of ships that were built at Sunderland. I should tell you clearly that I DO use such eBay images on site, lots of them in fact. But in doing so, I try, very hard indeed, to treat the eBay vendors with honour. I provide links to hundreds of such eBay images throughout the site - and I often even provide links to the eBay store of the vendor in question. Both in some small way to thank the vendor i) by effectively advertising the availability of his item & ii) for the use of his listing images. Only when a listing is long expired do I use, on site, the full size listing images that were provided. Now only a few of the eBay listing images I see are usable. They are so often too small, out of focus or otherwise unusable. Often they have 'logos' prominently written across them - to dissuade somebody like yours truly from using the image &, I presume, to protect the purchaser of the item. My own belief is that when a purchaser buys an item, a postcard perhaps, he or she buys that postcard, but does not buy the related listing image of that postcard. I have to think that an image displayed on eBay & available to the entire world is effectively in the public domain. I say that not as a lawyer. Rather as someone trying to develop an interesting website that informs & educates anybody interested enough to search the site - which site is non-profit, free of membership, free of access, has no fees, intrusive advertising, pop-ups etc. A rarity, these days! The use of such 'logos' seems to be steadily increasing. And so often the logos are placed across an image in a place that makes it quite impossible to remove by someone with my limited photo editing skills. One vendor in particular, a vendor who has provided modest listing images for many years with no logos, & to whose images there are still many links, has recently added a most intrusive logo across all of his listing images. I wrote to the vendor, but from his perspective he feels he is fully justified & does not propose to re-consider the matter. Gradually, as I find them again, I am removing all links to his sale items & will reference such items no more.